"The ability to create intuitively is as natural to humankind as is breathing, and almost as important to personal well-being. We are all born artists. These books helps us reconnect with the inspired and creative child within." 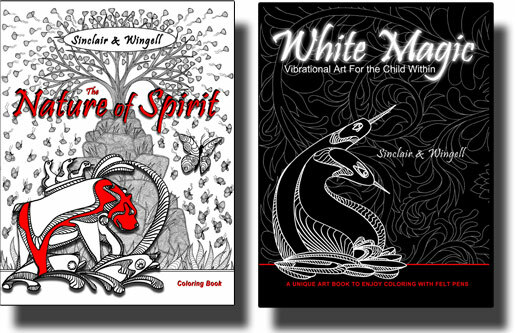 Two original art coloring books of fascinating imagery and insightful commentary available soon at a bookstore near you! Read excerpts from the new books! Copyright 2015 - Sinclair & Wingell - Canada - VibrationalArts.com. Powered by Blogger.